Your HOST, The Queen of “The AlchemyArtParty” ChiaO! 0ne-0f-a-kind Decompression Party right after Envision Festival. QUESTIONS FOR YOU: Are you entering an evolutionary new era of RELATIONSHIPS? What if we are co-creating a NEW Love-eco-system on planet earth? Would you agree that our symbiotic relationship with Art&Nature and our beloved tribe of Co-Creators… Is an inspiring pursue to further self-discovery, self-healing, and self-evolutionary-human-connection? Are you re-membering? Is it Love our Natural Essence? DATE: MonDay: March 4th, right After Envision Festival. Space is Limited! It includes the Experiences at “Love-Activation-Stations” It does not include food or other healing modalities. Stay tuned for VIP announces! WHERE? 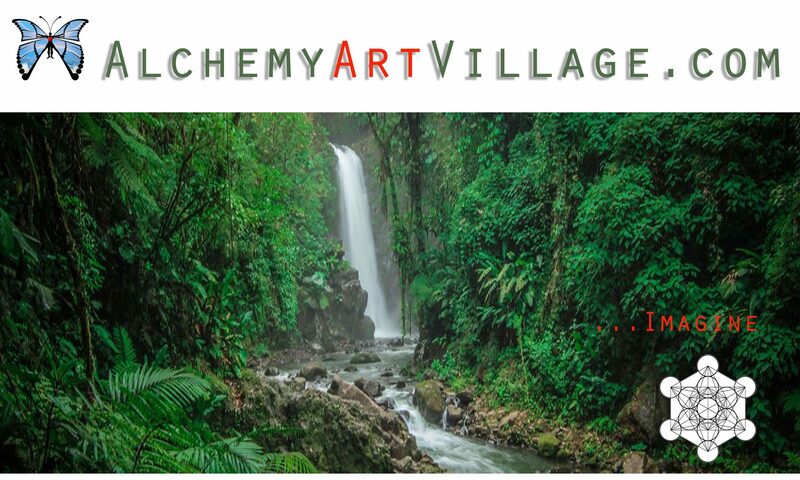 @AlchemyArtVillage an Eco-Paradise situated on a magical 5D Mountain in Platanillo de Barú, 40 minutes from Uvita. 20min from Dominical. 5min from Feria Tinamaste. TRANSPORTATION: We will provide Transportation from Uvita after Envision to AlchemyArtVillage for $45 USD in a bus that holds up to 11 People. Of course, you can divide the 45 with your friends. PARTY OPENING TIME? 8:00 P.M. – 1:00 A.M. But you can come before to chill-out and relax. WHY? The core of our philosophy is to connect from the Heart-Mind our Beloved Evolutionary Community of Artists and Co-Creators. It is our joy to Serve from our heart-mind with each one of you. Our Synergistic-Dance is about getting immerse in Eco-TantrArt Love-Activation. A transformative blissful Journey transmitted from AlchemyArtVision. MISSION: Using Multidisciplinary-Art as the Catalyst, Eco-TantrArt Party’s Mission is to provide a Safe Alchemical Container for Self-Transformation and Higher-Consciousness Community-Love-Activation. YOU: will be the Experiencer and the Experience. The Subject and the Object of Love. There will be a Variety of “Activate-the-Love” Stations for you to CONNECT with a higher LoveConsciousnessFrequency. Higher-Consciousness-Love-Connection means the Observation and implementation of respectful physical BOUNDARIES among participants. Each participant is 100% responsible for setting-up her-his boundaries and for asking questions about the boundaries of your friend and/or beloved before engaging in any of the experiences offered. Be Conscious, Be Loving. There will be Art&Food Vendors with YumeeeLiciuos Mouth-Watering Elixirs and HealthFOODActivators. HEALING ARTS There will be Healing Artists offering a variety of decompressing-therapies to nourish your Body and Soul. We Still have Openings for Vendors, Performers and Volunteers. Wanna be an Art&Food Vendor? Please send us a Private Message letting us know, what kind of healthy-delicious food you can offer? Decompression Party? Please send us a Private Message letting us know, what is your Performance about? Decompression Party? Please send us a Private Message letting us know your skills, experience, talents? “The Queen of The AlchemyArtParty” ChiaO! Now, for the first time Ortegón is Co-Creating an AlchemyArtParty in Costa Rica to officially OPEN Alchemy Art Village. Ortegón studied Art in Florence Italy with two Private Tutors. Formerly, Ortegón served as International Creative Director for a Worldwide Ad Agency. Eco-TantrArt Decompression Party (Extracted from AlchemyArt Transformational Teachings) is Created to Inspire REJUVENATION, CONNECTION, HEALING and BLISS. How? through higher-consciousness-love-connection where Heart-Mind are Set to expand the love during and beyond our AlchemyArt Party. 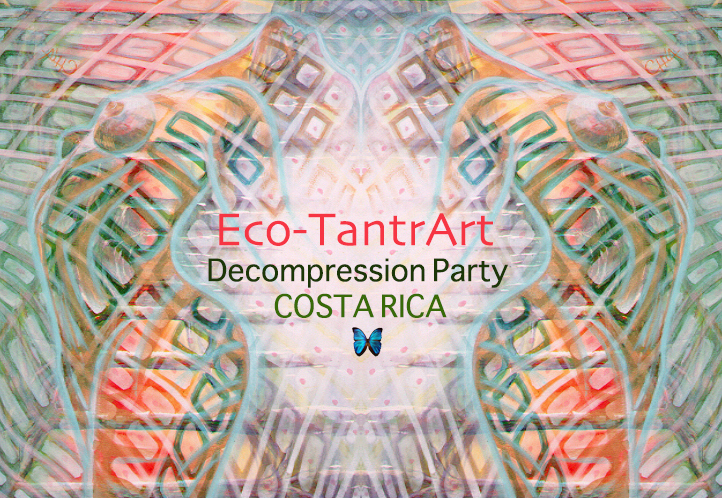 WHO is Invited to ATTEND our TantrArt Decompression Party? If you have been invited from our official FB Event Page then, YOU are INVITED to attend! Space is Limited! It includes the experiences on the Love-Activation-Stations. It does not include food or other healing modalities. Please buy your tickets Asap! When you buy, you will be added to the list for admission at the door. We will send you an email confirmation shortly after your purchase. Thank you! At the Door $45 USD. We reserved the right of admission.